No figure in literature can claim an homage as deep, as fervent, and as sustained as the one belonging to Sherlock Holmes. One of the hallmarks of this affection for The Great Detective is to contribute to the literature of Sherlock Holmes. Known as the “writings-about-the-writings,” this literary expression forms an unprecedented body of exegesis unique in literature. Founded in 1946, The Illustrious Clients of Indianapolis is proud to claim an active Sherlockian publishing legacy that spans seventy years. 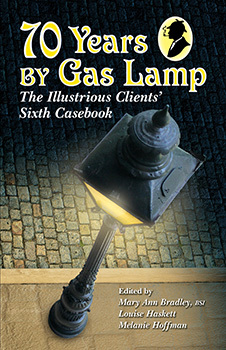 The first Casebook appeared in 1947, and contained selections from both society members and prominent Sherlockian authors from around the country. This tradition has been maintained throughout the series, and the Clients are now pleased to offer this, their latest volume.